I have to say this, after reading so many reviews that are totally unfair towards Orlando and his performance, I found this one a breath of fresh air. Not overly positive or negative, but a fair balance. Don't me, but I actually agree with some of the issues she brought up. With Gladiator director Ridley Scott managed to revive the genre of epic drama movies, and made Russell Crowe into a star. Movies of other directors, like Troy and King Arthur, however, turned out to be a disappointment. But with Kingdom of Heaven Scott (this time also as producer) shows us once again how it’s done. He brings the era of the crusades, with all its glory and horror, alive again and makes a real star out of upcoming man Orlando Bloom. However Kingdom of Heaven has one drawback. It’s not Gladiator. 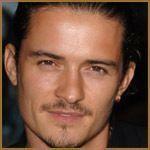 Blacksmith Balian (Orlando Bloom) has recently lost his wife and child. He gets a visit from baron Godfrey of Ibelin (Liam Neeson), his father. Godfrey invites Balian to come with him to Jerusalem, where Muslims and Christians live together peacefully and where sinners can find remission. However, it’s a fragile peace. King Baldwin (Edward Norton) is sick and other, less peaceloving men, are after his throne. Balian gets knighted by his father. He works hard to make his father’s estate flourish (literally) and meets princess Sybilla (Eva Green). However, she’s married to Guy the Lusignan (Martin Csokas), a knights templar who is not taken in by the peaceful coexistence between Muslims and Christians. He prefers to seek a conflict with the muslimleader Saladin (Ghassan Massoud). It is Balian who gets the heavy task to protect the city and especially its people. A treat to look at. Scott has an exceptional talent for creating beautiful scenes and Bloom, not entirely unjustified, plays an important part in that, but Scott’s vision goes further. He brings the middle ages in the Middle East to life in a magnificent way. Glistening swords, flying banners and threatening skies make Kingdom of Heaven a treat to look at. The grandiose battlescenes, without avoiding the cruelties of war of that age, leave an overwhelming impression. After parts in blockbusters like Lord of the Rings and Pirates of the Caribbean Bloom plays in Kingdom of Heaven his first lead role. And even though, at times, his handsome face looks a bit too young to play the role of defender of Jerusalem, Bloom plays the part very well. He gets help from experienced men like Neeson and Irons and newcomer Green. Scott even managed to ensnare Norton for a role in which he had to cover his face the entire time. All in all Kingdom of Heaven is a delightful spectacle, and utterly enjoyable, as long as you don’t start comparing the movie with Gladiator. Because where Gladiator was a well rounded story, Kingdom of Heaven leaves something to be desired. Scenario writer William Monahan tends to skip through the story, causing certain developments to feel unnatural. An understandable situation, given the fact that the movie is 21/2 hours long, but why did they put that totally unnecessary shipwreck in there, instead of elaborating more on other storylines? Another drawback is the political correctness. With this story about the crusades Scott likes to draw a parallel with the current tension between Christians and Muslims. But in his eagerness to depict the Muslims as noble and just, he cuts the Christians short. Balian is both good and bad, a man who struggles with his human side. But bad guys like De Lusignan and his companion Reynald (Brendan Gleeson) are a little too one-dimensional, which causes their motives to remain unclear. But for those who aren’t bothered by that Kingdom of Heaven is a splendid, spectacular movie, which brings the promised land, if only for a moment, within reach. I think it was brought up in some other thread on the board where someone said that they found it a marketing mistake of Fox to keep mentioning Gladiator in the add campaign of Kingdom of Heaven, and I have to say, I agree with that person. The constant Gladiator mentioning makes it almost inevitable that people will compare Kingdom of Heaven with Gladiator, where they shouldn't. In my humble opinion, the mere fact that they're both movies set in a historical context doesn't justify comparing them. They're totally different movies with totally different concepts. I mean.. come on, we don't compare Alien with Star Wars either, now do we? And even though, at times, his handsome face looks a bit too young to play the role of defender of Jerusalem, Bloom plays the part very well. Personally, I think Orlando was the perfect age. He's 28 and in the real world (today and in the past) the majority of 28 year old men would have a wife and children. Boys 10 years younger than him would be sent into battle. Infact, the mortality rate would have been much higher around the times of the crusades without the help of the modern medicine that we take for granted today. So, obviously, men a lot younger than what we are used to seing today assumed predominant roles in battle. If reviewers want to compare 'Kingdom of Heaven' to a Ridley Scott movie, why don't they try looking at 'Black Hawk Down'. Young men going into battle, dying and getting horrifically injured in the line of duty. Young men taking command of war situations. I couldn't agree more. I think it's completely unfair (and unwise to have linked the two films together in the first place with the "from the Director of Gladiator" marketing campaign) to compare the two films. Perhaps that wasn't Fox's intent, perhaps their intent was only to focus on the fact that Ridley Scott directed KOH, and that since he directed Gladiator, which was a very good film, that KOH would also be a good film. A film should be able to be viewed and critiqued on its own merits, not automatically compared to another. Although such comparisons are inevitable to some extent, the "From the Director of Gladiator" campaign unfortunately served as almost of an announcement and recommendation to the world to link and compare the two. why did they put that totally unnecessary shipwreck in there, instead of elaborating more on other storylines? While I could understand the symbolism of the shipwreck in the message of having one's whole life made a mess of, and being re-born, so to speak on the shores of the new world, I did ask myself essentially the same question. Perhaps more will be revealed in the Director's cut DVD. He brings the era of the crusades, with all its glory and horror, alive again and makes a real star out of upcoming man Orlando Bloom. This sums it up for me. My thoughts exactly. ETA: I found my manners. Thanks, Len, for posting this. Thanks Ellen, for posting this review. Finally a critic who understands this movie. Thank you, Ms. Natalie! And it takes a lady to notice this? :huh: Duh. My view of the shipwreck was that it was intended to allow Balian to think that he had been chosen by God to live, the sole survivor of the shipwreck, so that he could fulfill God's purpose for him in Jerusalem. In the 12th century, that kind of theological interpretation of events would have been commonplace; God was the cause and driving force behind almost everything. But I readily admit that I have no idea if that's how Scott and Monahan intended us to understand the shipwreck; maybe they just thought it looked really, really cool. As I've said elsewhere, I agree with this article that the film's PC-ness was a drawback for me, and because it turned some of the major characters into caricatures, detracted from the film. I hate it when films get preachy (even when they preach a message that I agree with).